Location: St. Michaels Episcopal Church; Corner of Putney Rd. (US Rt. 5) and Bradley St. Brattleboro, Vt. Arrival: No Later than 0900 hrs. arrival at staging area; Parking at church is very limited. Services will begin promptly at 1100 hrs. at St. Michaels Catholic Church, Walnut St. Brattleboro, Vt. 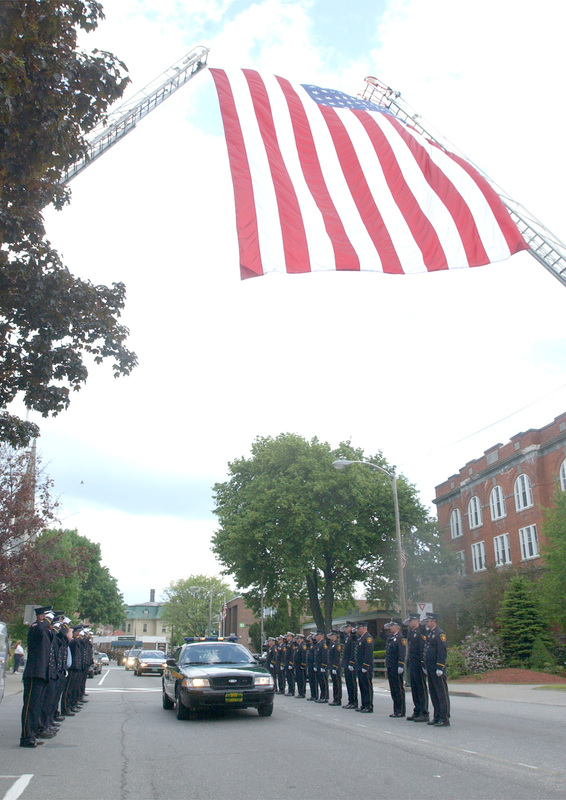 Directly after the funeral services all non law enforcement personnel will travel to Morningside Cemetery by bus. From I91 Southbound: Exit 1. Take left at end of ramp onto U.S. Rt. 5. Travel Route. 5 to first traffic light then take a right. From I91 Northbound: Exit 1. At end of ramp take a right onto U.S. Rt. 5. Travel Rt. 5 to first traffic light and take a right. 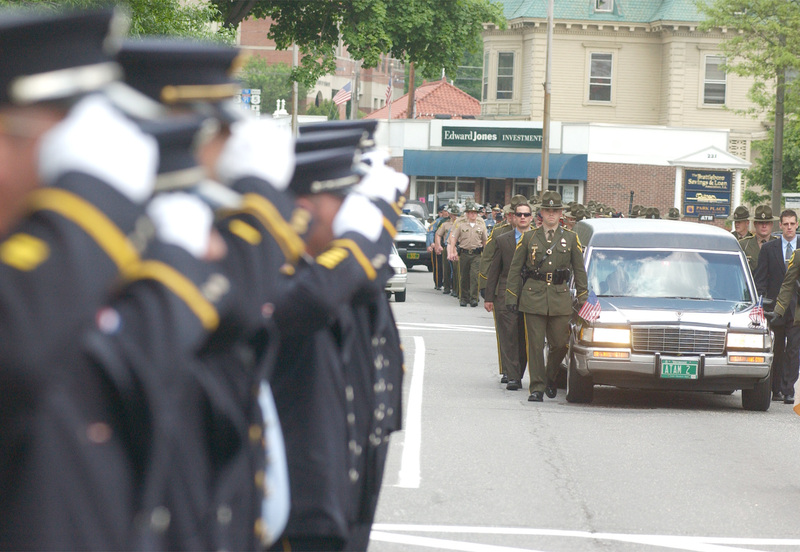 Brattleboro High School will be directly ahead and VSP personnel will be present. 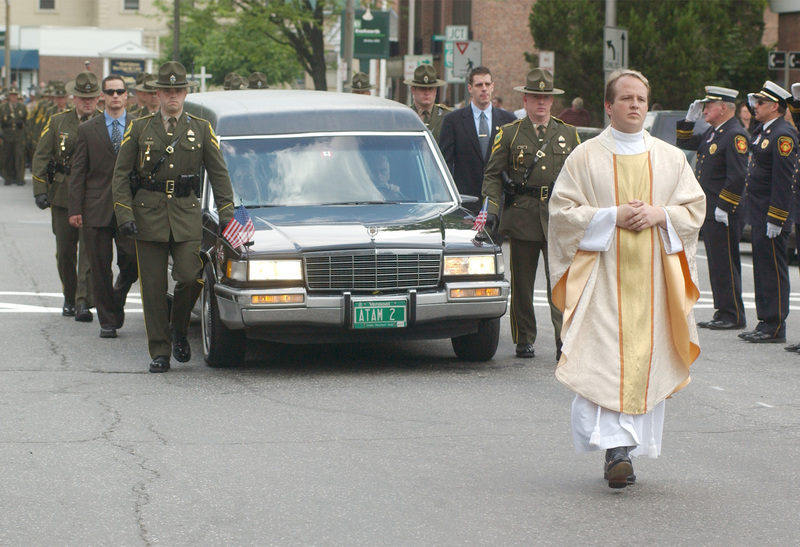 I am sad to report that Trooper Jason Kaine passed away within the past hour. 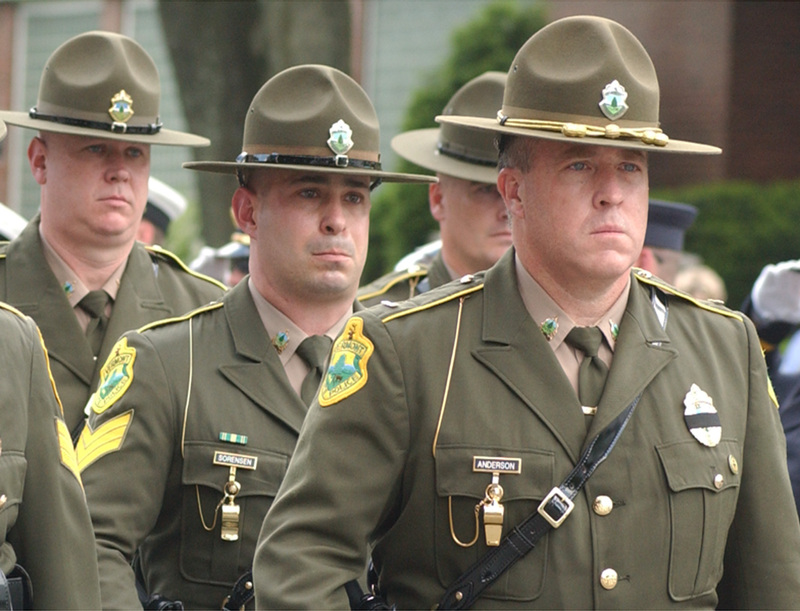 The Vermont State Police family has suffered another terrible loss. Jason fought a courageous battle with leukemia. We all have learned a lesson in courage. The details of the services are yet to be worked out. Capt. John Filipek has been assigned to coordinate those details. As soon as those details are known we will get the details to the field. Please take a moment to remember Jason's family; Joyce his wife, his children Lucas and Liam, his parents Larry and Karen as well as his other immediate family members. Jason Kaine has had a setback in his treatment. Today Jason went to Brattleboro Memorial Hospital for some routine follow up. A blood test revealed his platelet count was significantly lower than normal. The good news is the white cell count was normal and tests have not detected any indication the Leukemia is back. Jason is receiving a blood transfusion at this time to stabilize his condition. That blood was relayed from Fletcher Allen early this afternoon by VSP Troops. The folks at Duke Medical Center want Jason back there for treatment tomorrow. Joyce Kaine is making the arrangements for travel at this time with the help of Troops from D2. At this point it is hoped he will travel to his parents in CT tonight and then fly to NC at about 0700 Friday morning. While this news is concerning, it's important to note Jason is still up and around and the medical folks are optimistic. At this point we ask that everyone just keep Jason in their thoughts and prayers. I will issue updates when new information is available. I just spoke to Jason Kaine on his cell phone and his Team of Doctors has released him 15 days early and he is headed northbound on INTERSTATE 95 as of 1400 hours.. Joyce and Jason are headed to New Jersey to stop over at Joyce's parents and will return to Vermont on either Thursday or Friday!! Jason can return to a normal routine with diet and lifestyle. He dropped allot of weight while undergoing treatment and is currently 163 pounds. He hopes to gradually get his strength back and increase his weight up to about 185-190..
Jason stated his blood counts are in the normal range now. Jason's goal is to be back working light duty sometime in June and then hit the road in late July early August!! I want to thank everyone for their support especially those of you who donated annual leave to help Jason through this period of time.